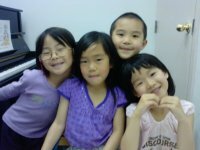 Our Lessons focus on accommodating the individual needs and expectations. 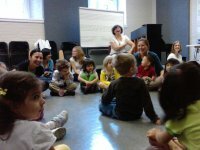 In Piano teaching process focus is on both: playing techniques and different styles of music. 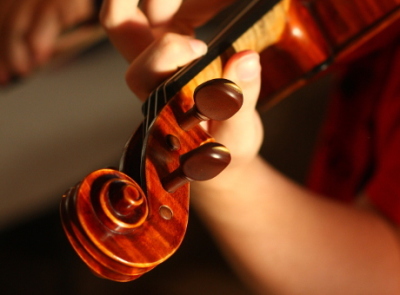 ​In Violin teaching process focus: Teachers work with students on a range of subjects such as music theory, sight-reading, and improvisation. For our advanced students, we help them develop technique, mastery, and explore different styles and time periods. 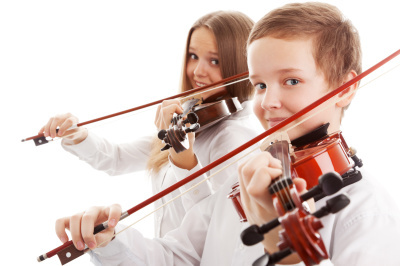 We teach all ages and all levels. And our current student's age range is from 4 to 15 years old. Adult students are also very welcome. 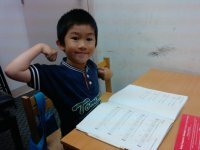 We help you to have preparation for the Royal Conservatory of Music exams from Grade 1 to ARCT (Piano, Rudiments, History, Harmony). 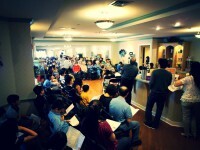 In addition, we are coaching students for auditions, competitions & festivals. 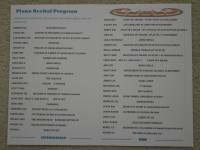 We have Students Recital per year. Students are encouraged to perform on stage, it helps them to gain confidence and get experience from performance. 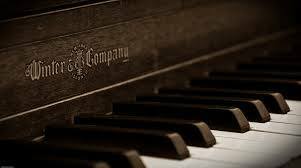 We also provide Piano Accompaniment for strings, voice, woodwinds, brass, percussion, etc. Over 15 years of outstanding teaching experience. 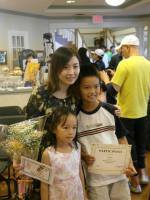 Karman Huynh – Karman is an RCM piano program graduate who has extensive education in piano and theory. Obtaining his Bachelors Degree at York University and his ARCT at the Royal Conservatory of Music, he has been teaching piano and music theory for the past 10 years. 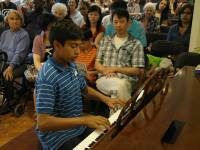 He works with students of all ages, levels and styles, and prepares them for Royal conservatory exams. The grade tests’ passing rate of the students that Karman has submitted is 100% in Canada, in which most of them have received 80 and above grades. Karman performs frequently at various venues including festivals, ceremonies of all kinds. Kelly Sham - Kelly received Diploma in Music Performance of Piano & Violin from Trinity College London ATCL. Obtaining her Bachelors Degree of Violin Music Education at University of Toronto, she is a member of University of Toronto Concert Orchestra & Toronto Symphony Youth Orchestra. In 2018, she received Outstanding Teacher Reward from OYMI. She has lots experience of teaching Violin/Piano private lesson and children group class, she loves teaching all ages of students. 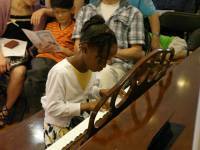 In addition, she helps students to prepare RCM piano & violin exams at all levels & music competitions. She performs frequently at different venues including ceremonies, festivals and is also making recording at radio and tv show. 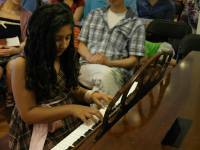 Most of her studnets got above 80% from RCM exam, and received rewards from music festivals. 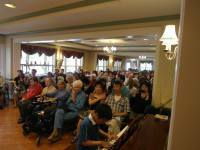 Ran Jiang - Ran completed her Master’s degree in Music Education at Western University. As an RCM certified piano teacher, the member of Ontario Registered Music Teachers’ Association (ORMTA), and the founder of Piano Gamification, Ran believes that teaching piano is all about bringing students to the enjoyment of music and making achievements. While teaching piano, Ran is also a solfeggio and theory instructor. Her students have won multiple prizes in the piano competitions internationally, and were often recognized as “well-rounded, amazing and impressive musicians". Calvin Tsang - Clavin has been featured as a soloist on Charlotte’s very own classical radio station, WDAV, in the series, “Mainstreet Sessions” performing a virtuosic show-piece Zigeunerweisen by Sarasate. He has also performed with various high-level US orchestras, including San Diego Symphony, Charlotte Symphony, Virginia Symphony and Des Moines Metro Opera. In his formative years, he garnered many honors/awards, including performing as concertmasters of his local school, region orchestras and most notably, concertmaster of Texas’ All-State Orchestra. He hails from Austin and Chicago, where he completed Bachelor’s and Master’s degrees in Violin Performance (Northwestern University). He has several years of teaching experience to students of all ages and levels, he prepares and coaches students to RCM exam and music festival. Winter Dong He – Winter received a Bachelor of Music at McMaster University and obtained certified teacher certificate in Piano & Theory from the Royal Conservatory of Music. 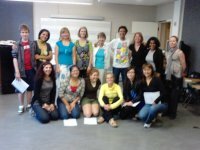 She is a member of Ontario Registered Music Teacher Association. Aside from teaching private piano lesson at all ages and levels, she teaches Kids Group Class for age 4-6 and theory group class (Rudiments, Harmony & History). 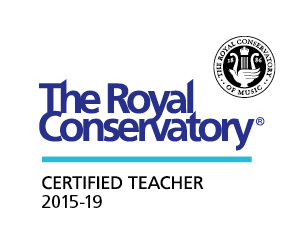 She has over 15 years teaching experience, her students were 100% passing RCM exams, and most of them got above 80%.